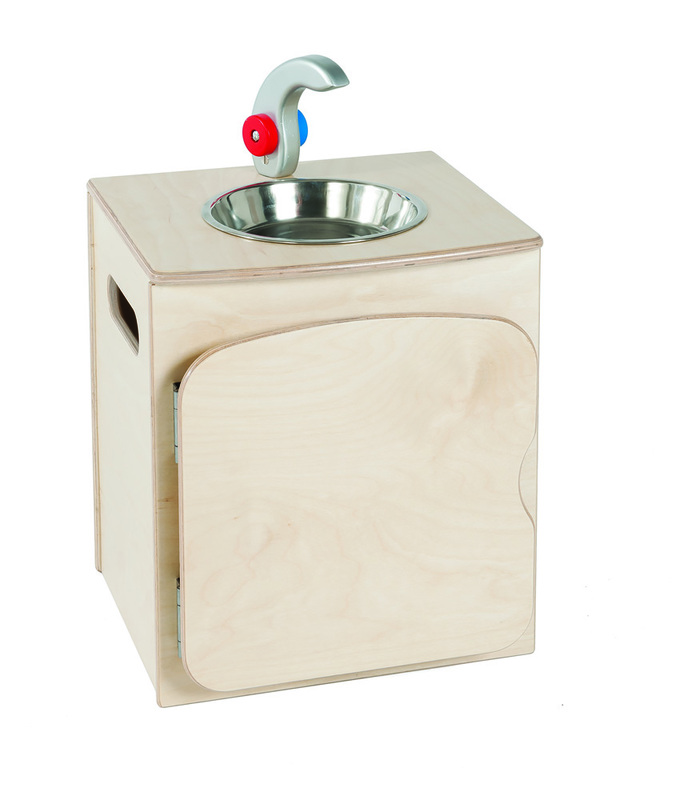 The toddler play sink unit is designed with care to provide a safe early learning environment with anti-finger trap doors, rounded corners and tactile edges. 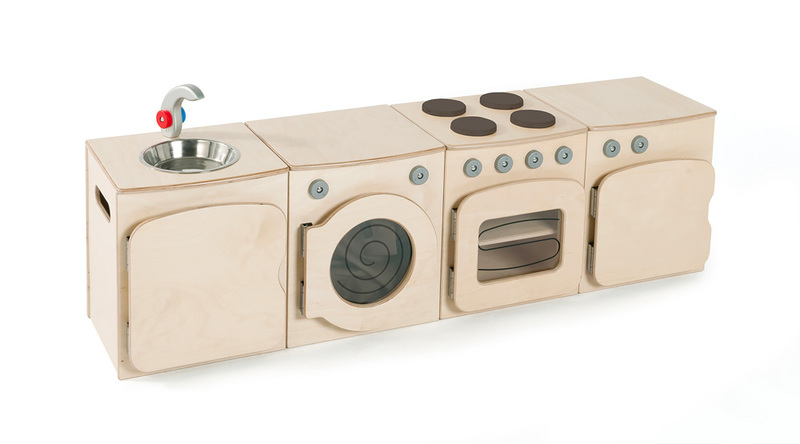 This premium, natural wood kitchen unit is ideal for classroom home corners and group role play areas in your school or nursery. 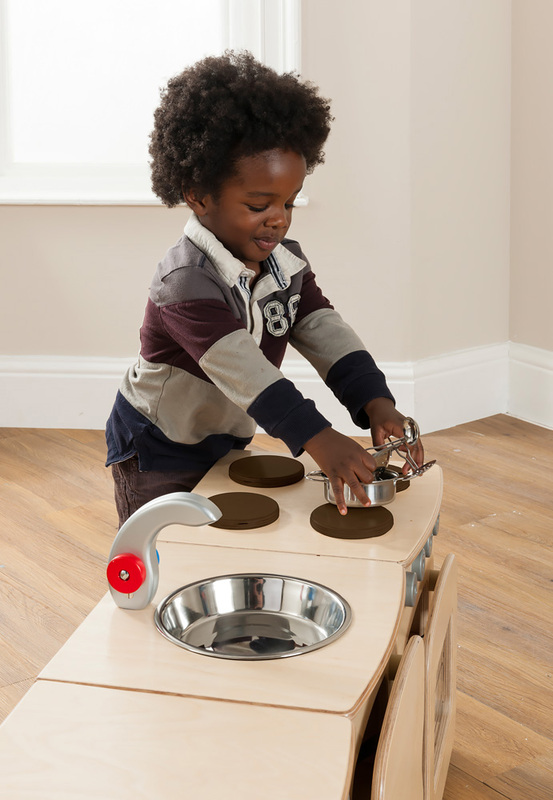 The toddler sink unit features convenient carry handles for easy transport and storage as well as a mixer tap with hot and cold rotating plastic dials, a stainless steel bowl and storage for toys. 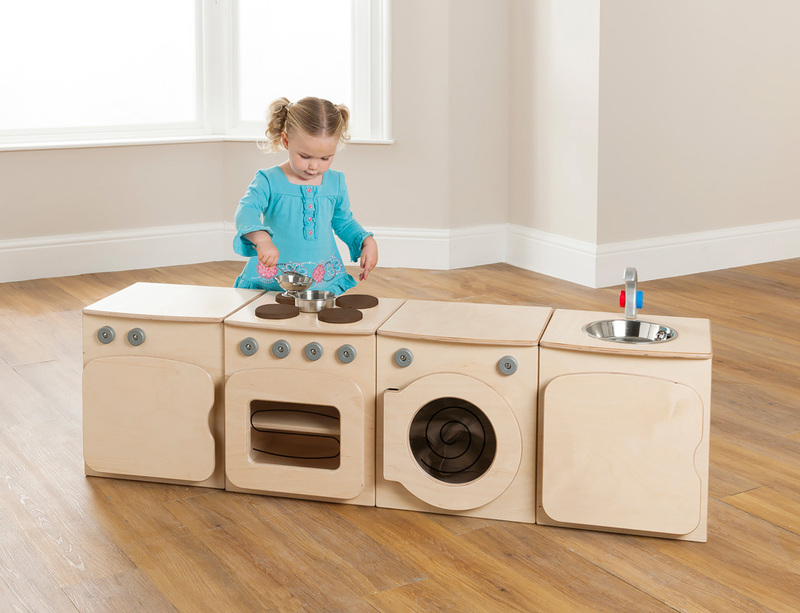 Manufactured sustainably in the UK using real birch plywood and sealed with a child-friendly, water-based lacquer, the toddler kitchen and market stall range is built to last in an early years' setting. Please note: the plastic toy utensils featured in the product images are not included with the Toddler play kitchen range. For more information please Contact Us or call us on 01733 511121. 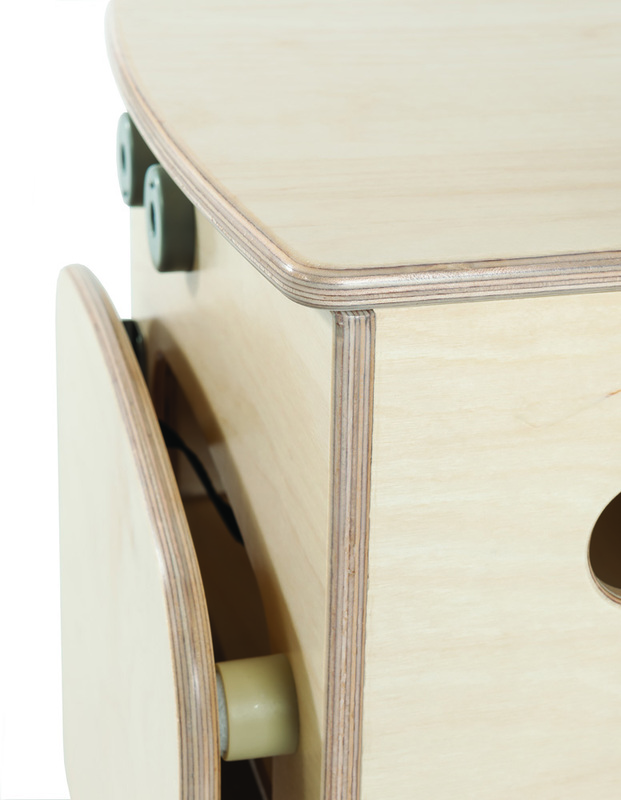 View our extensive range of Home Corner play equipment. Manufactured to order and dispatched within 2 weeks. Please note: for this product delivery is free to most areas of mainland UK. Please check our delivery page for postcode exceptions where a delivery cost will be charged.